The enlightened being, Tönpa Shenrap Miwoche, was born into this world over 18,000 years ago. There are three sources for his hagiography, a short, a medium and a long version. The short version is commonly known as the Do Dü. This is a single volume with twenty-four chapters. This is the earliest written source and was translated from the ancient language of Zhang Zhung into Tibetan by the sage and scholar Lishu Taring. The medium length version is commonly known as the Zer mik. This is two volumes with eighteen chapters. This text is focused primarily upon the twelve deeds of the Buddha. The long version is commonly known as the Zi Ji. This text has twelve volumes with sixty-one chapters. 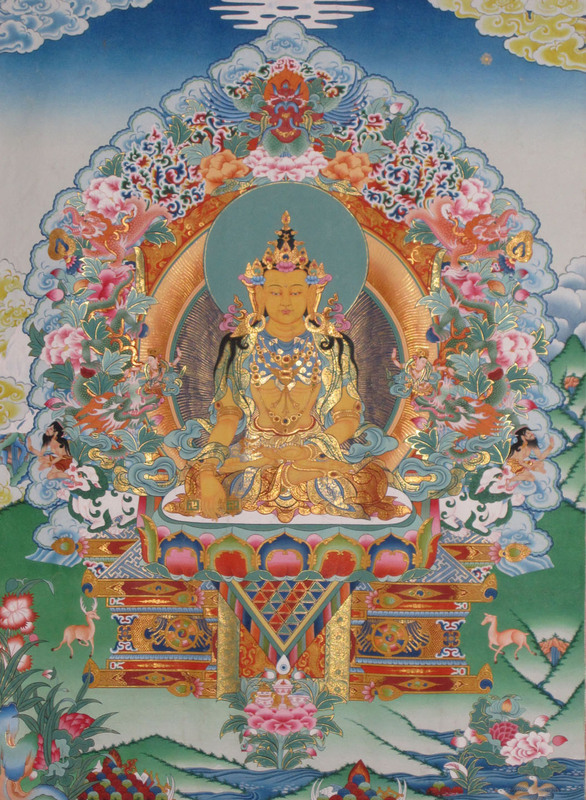 Within this text are teachings of the Nine Ways of Bön in the form of a conversation between Buddha Tönpa Shenrap and a disciple. Posted on September 6, 2013, in Tibetan Culture & History, Uncategorized, Yungdrung Bon Monasteries and tagged Asian studies, spirituality, tibet, Tibetan history, yungdrung bon. Bookmark the permalink. Leave a comment.